Photos: Nick Chubb is a BEAST! Nick Chubb is one of Georgia’s prized recruits for the 2014 recruiting class. The 5-foot-11, 216-pound 5-star running back from Cedartown will join the Dawgs’ backfield this Fall. 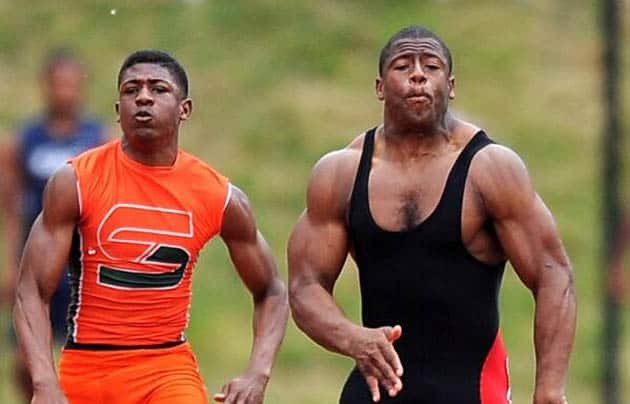 As if his 5-star rating and high school stats weren’t enough, Nick Chubb has created some buzz in another area — his physique. A photo of Chubb running track, taken by Radi Nabulsi, is making the rounds. The same photo is also placed next to Herschel Walker for comparison. 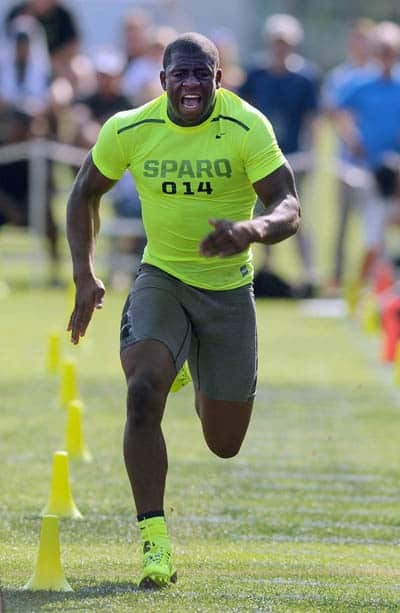 Lest we not forget, Nick Chubb will join Todd Gurley and Keith Marshall in Athens. And oh by the way, Georgia also has 5-star running back Sony Michel coming in.